At Record Nations, we strive to work with network partners who emphasize powerful business philosophies and the importance of meeting customers’ needs first. We take pride in sharing the positive paper shredding experiences of both our network partners like Assured Document Destruction, as well as the remaining small-community feel of the shredding industry that has been so good to them. A valued Record Nations partner since 2006, this August we honor Assured Document Destruction as a prime example of such a company. A leading provider of document shredding and storage solutions in southern Nevada and Arizona, they offer their customers all the services they need with a “Yes We Can” attitude to go along with. Find out more about how Assured Document Destruction’s abilities, philosophies, and experiences from over a decade in the paper shredding and document storage industry has helped them to stand alone from the competition as they continue to exceed customer expectations. How and Why Did They Get Into the Shredding Industry? 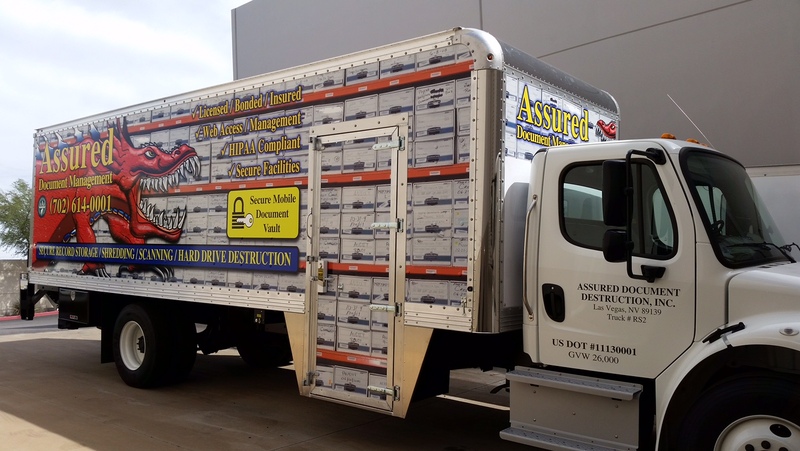 In their previous occupations prior to 2000, Assured’s founders felt a great need for the protection of confidential documents and realized the need for shredding services. 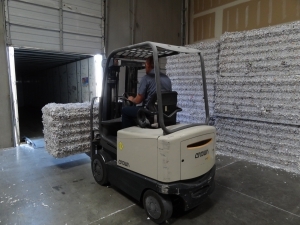 They saw the opportunity that the shredding industry could provide with the recurring revenue accounts model and felt it would be a fit for their aptitudes. So, in 2000 they decided to take control of their future and purchased Assured Document Destruction’s first shredding truck. Starting with a single shredding truck and their garage as their warehouse, they kept regular jobs—splitting shifts between 9–5 and graveyard to also raise their young family while growing the shredding business. 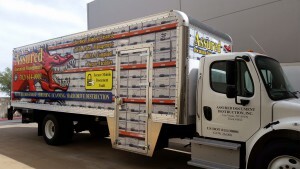 About 2 ½ years after opening, Assured Document Destruction hired their 1st employee out of the storage unit they were parking their only truck at, and today he is still with them and is managing Assured’s entire record storage operation. Assured Document Destruction is very proud to say that their 1st and 2nd employees ever hired are still working with them today. Many employees have started in one job description and have since been promoted to management or sales positions. How Long Has Assured Document Destruction Been in Business? Assured Document Destruction incorporated in September, 2000 in Nevada to serve southern Nevada. They have witnessed both the business highs of HIPAA and FACTA being introduced, as well as the lows following the 9/11 attacks and the 2008 recession. 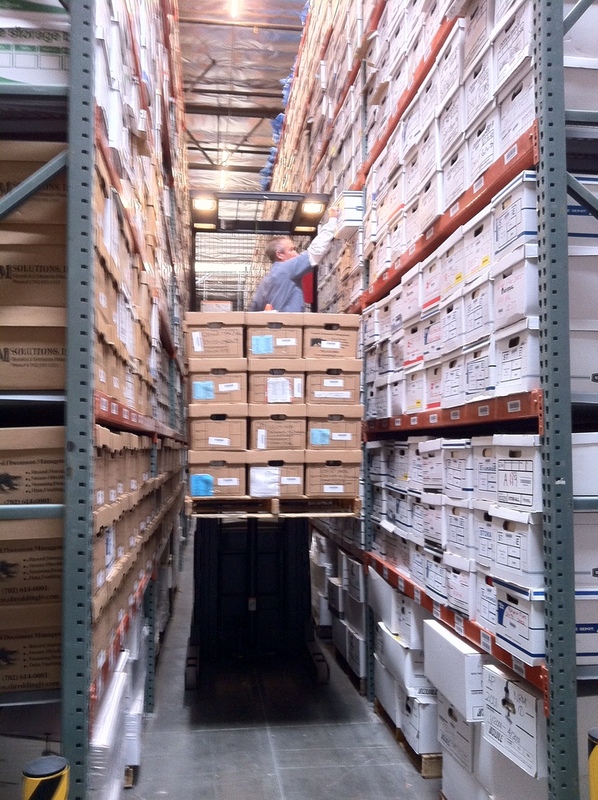 Right before the recession hit hard in 2008, Assured Document Destruction expanded their shredding service into the Phoenix, Arizona market while at the same time expanding into records storage at their Las Vegas location. It was a tough few years but Assured Document Destruction endured and now sees healthy growth in all of their business lines. They feel that their commitment to doing things honestly and ethically has always kept them on the right side of many deals over the years. When Did They Get Into the Record Storage Industry? While paper shredding has always been their core business, Assured Document Destruction expanded into Record Storage in Nevada eight years ago. This has turned out to be a great decision as it has just exploded. The synergies created by offering both secure destruction and secure storage have helped Assured to double their business in the last four years. The shredding fuels the record storage growth and then fuels their destruction plant with thousands of additional boxes that Assured Document Destruction would have never even had to shred if they hadn’t decided on opening the storage operations. Prior to starting the record storage operations, Assured Document Destruction attended conferences, visited record storage facilities, and researched the best equipment / software / facility designs. This allowed them to compete with the big players in the record storage arena while providing a higher level of customer service. What Is Assured Document Destruction’s Business Philosophy? Three words: Security, Service, Value. Assured Document Destruction’s focus has always been security first, followed by great customer service—and all at a good value. The secure destruction and storage industry is all about protecting confidential information, and customers need to feel confident that Assured Document Destruction would take every step necessary to protect their information. They treat every document as if it had their own personal information on it. Assured adheres to all privacy regulations including HIPAA, HITECH, FACTA, GLB, etc, and even has been NAID AAA Certified for many years. In their previous occupations, the careers of Assured’s founders focused heavily on customer service, and at Assured Document Destruction they have incorporated this philosophy into their business. When you call their office you talk to a live human being—they do not have voice mail or dial prompt systems, and all service requests are responded to promptly. Assured Document Destruction has a “Yes We Can” attitude even with the most challenging or unusual requests, and the customer is always right! Assured Document Destruction has always invested in the best equipment to ensure they are able to meet their customers’ needs; they were one of the first companies to purchase downstream data coverage because it actually covers what their customers would be concerned about. At an early stage they realized that to be competitive in this industry, Assured Document Destruction would need to capture the full value of the recyclable shredded paper. In both of their shredding locations, they have invested in state-of-the-art paper baling systems to recycle their own shredded paper in-house, thereby allowing Assured Document Destruction to keep their service rates as low as competitively possible and pass this value onto our customers. How Has Assured Document Destruction Changed Over the Years? 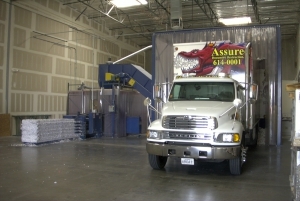 Assured started out initially in the paper shredding industry before soon realizing there was a need for other types of destruction. Over the past 16 years, Assured Document Destruction has shredded it all, including but not limited to, playing cards, teddy bears, shoes, clothing, uniforms, silicone breast implants, colored towelettes for tanning, hard hats, hard drives, data tapes, plastic bags—and the list goes on and on. They have diversified into recycling, records storage, document scanning, hard drive / electronic media destruction, IT recycling, and X-ray recycling. Today, Assured Document Destruction has grown from a small startup with just two employees working out of their garage to a multistate operation with over 40 employees, millions of dollars in assets, and tens of thousands of customers. What Makes Assured Document Destruction Unique? One of the best decisions Assured ever made was to design a “Big Red Dragon—chomping up paper” logo, as well as getting their trucks wrapped with that logo. With the long name of Assured Document Destruction, no one was remembering their name—but once the Dragon started driving all over town everyone knew who they were. Everyone would call and ask if they could have a dragon come by to shred. 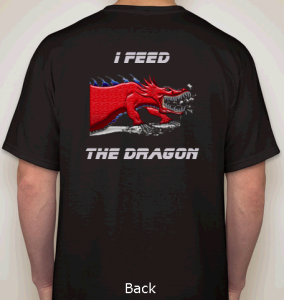 Assured Document Destruction even gives dragon t-shirts to every new on-going customer. 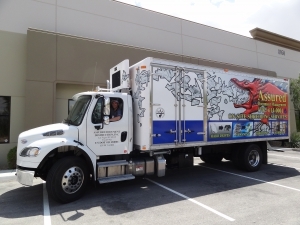 When they first decided to wrap their trucks with the big red dragons they had two shred trucks—now Assured has a fleet of 23 vehicles in two states representing the Assured Document Destruction dragon. In addition to the Big Red Dragon, Assured Document Destruction finds themselves in the unique place of being small enough to care but big enough to meet any need. They have always invested in the best equipment, processes, training, software, and facilities to meet their customers’ needs. That philosophy has been rewarded with excellent customer retention and loyalty. The shredding industry has been really good to us; it was the first business venture we ever started. Back in 2000 when we were researching the business, we knew very little about the industry so we called all the NAID members we could find on the NAID website. To our surprise, everyone we reached out to took the time to share their experience, and now we always try to do the same when someone contacts us. We are very appreciative of the small community feel in the shredding industry. Interested In Assured Document Destruction’s Level of High-Quality Customer Service? Get Free Record Storage Quotes Today! At Record Nations, we understand the critical value of connecting our customers with top-of-the-line record storage providers who are well-equipped to safely store and shred your sensitive records. Whether you find yourself needing record storage services or document shredding, we have countless providers just like Assured Document Destruction who can help to securely meet the needs and budgets of homes and businesses throughout Nevada, Arizona, and the remaining 48 states in the US. To get started scheduling a record storage provider for your next project, just give Record Nations a call at (866) 385-3706, or simply fill out the form to the right to request free quotes on document destruction or record storage services near you!